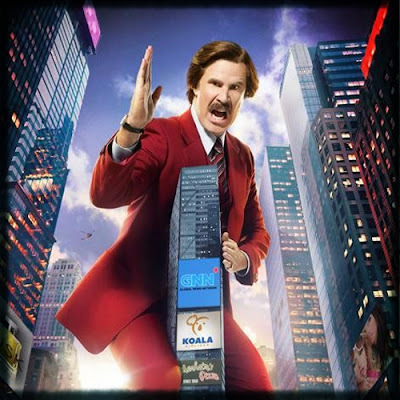 Ron Burgundy (Will Ferrell) ready with the Kaiju Karate Chop. Click on any of the pictures below to see full size. If you are unfamiliar with the original anchorman, it is a story about a 1970's news team lead by Ron Burgundy (Will Ferrell). 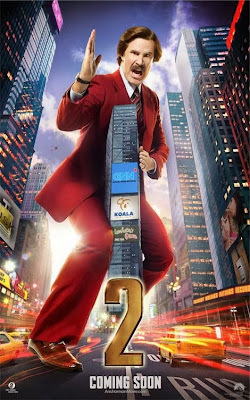 In the upcoming sequel, set for release this Christmas. The team hits rock bottom until the crew is recruited to help start a new 24/7 news channel. 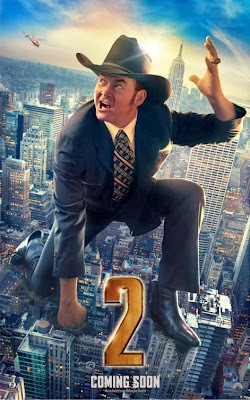 Each character is at a different scale, but it looks like Champ Kind (David Koechner) and Brian Fantana (Paul Rudd) are closest to Kaiju size.